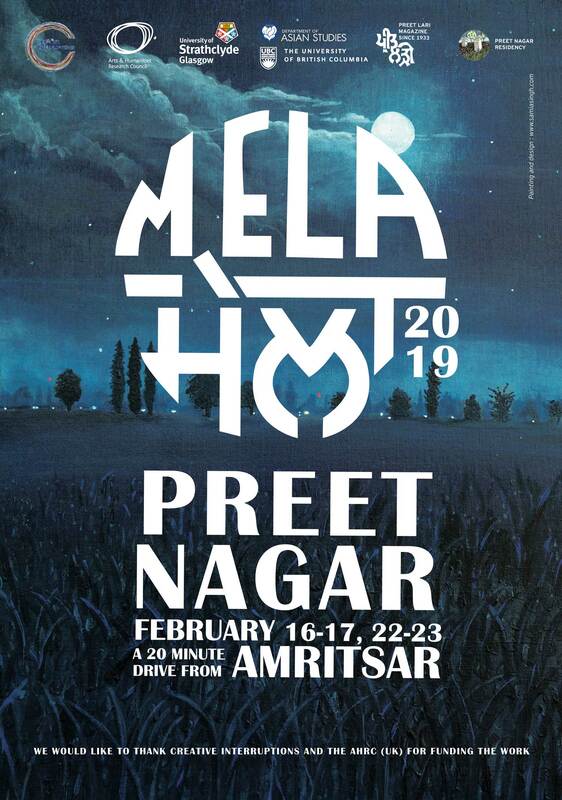 Explore “Punjabiyat” through art work, performances, and activities at this cultural festival at Preet Nagar, an artists’ community founded for all Punjabis. 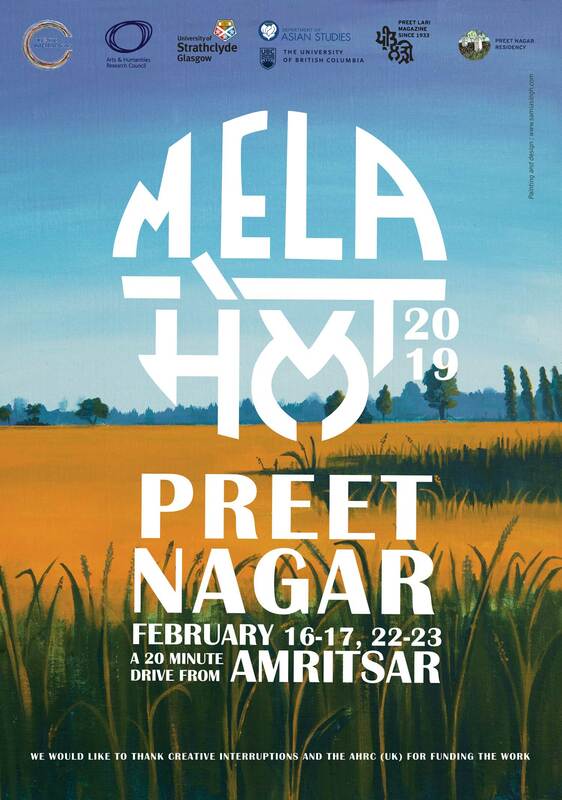 Located between Lahore and Amritsar, just kilometers from the international boundary that divides the Punjab, the Preet Nagar MELA invites us to think differently about what is shared across that border, and about the local traditions and communities that make up our Punjabs today. The works of art on view in this special temporary public exhibition were developed at Preet Nagar through a series of artists’ residencies by artists from India, Mauritius, Canada, and students from Srishti Institute for Art, Design and Technology (Bangalore), through the Creative Interruptions project, funded by the Arts and Humanities Research Council UK, with the additional support of the University of British Columbia, which explores how the contemporary arts can shape how we remember and represent the past. Creative Interruptions is an international arts and humanities project which uses creativity as a way of connecting people and communities across borders. It is funded by the AHRC (UK). The Punjab-centred component of the larger "Creative Interruptions" project is focused on using arts and humanities-led research to investigate and interrogate forms of cultural amnesia in a partitioned Punjab (the cultural/linguistic region of Punjab was split between the newly formed states of India and Pakistan in 1947 at the time of decolonization). This cultural amnesia has entailed the erasure of the history, memory, culture and material evidence of past and present non-Sikh communities in East Punjab (India) - and is paralleled by a similar process in the Pakistani Punjab. The hypothesis of the research that is engaged through and within this arts project is that current creative and syncretic practices in daily life, worship and informal settings offer a powerful way of investigating how the material and cultural partitioning of cultures and regions operate. A monthly Punjabi literary journal since 1933, Preet Lari addresses “Life, Love & Longing”.The Spirit of Love has been written & translated as fiction,prose,poetry & analysis by many renowned and new authors. Since 1938,it also became a physical space, Preet Nagar, literally an abode of Love, where one’s very lifestyle was reinvented by way of community living through common pursuits, successful experiments with child friendly education, a perusal of the arts and a community kitchen not withstanding differences of caste, religion and gender. Preet Nagar was noted by Gandhiji, Tagore and Jawahar Lal Nehru as well as Leftist stalwarts. It has created thousands of aware citizens for at least three generations. Preet Lari has always responded with open arms to Punjabi society’s aspirations for democratic liberalism, social & economic equality. Through Colonialism, Partition, wars and terrorism Preet Lari has stood from 85 years as a platform for Humanism.Founded by Gurbakhsh Singh,it was also edited by Navtej Singh for many decades. Editor Sumeet Singh fell to the bullets of extremists in 1984. Poonam Singh and Rati Kant Singh are running the magazine since 1984 for Preet Lari Trust, the Founder Chairman of which was the brilliant P H Vaishnav, IAS. 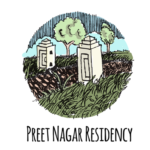 Preet Nagar Residency, home to editor Preet Lari, is a space for artists, writers and anyone who wants to connect with the concept and memory of Preet Nagar. A community space envisioned to further creativity in 1940s with a vegetable farm bringing farm to table cooking everyday. Visitors and residents make the historic Preet Ghar their home. They pursue their art as well as engage with the local community exploring and furthering the Vision. Preet Ghar has living and working space with upcoming studios for different arts and crafts. The first residency was held in 2013 and has about 200 residents since then. 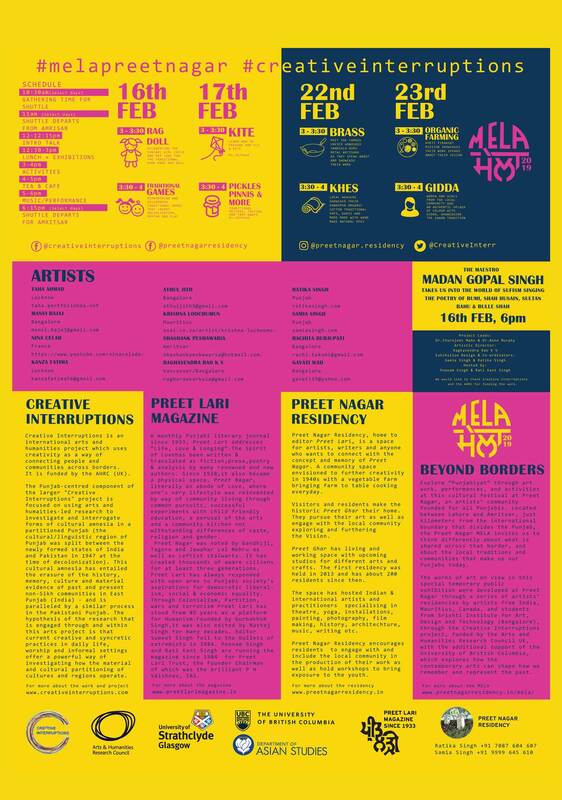 The space has hosted Indian & international artists and practitioners specialising in theatre, yoga, installations, painting, photography, film making, history, architechture, music, writing etc. 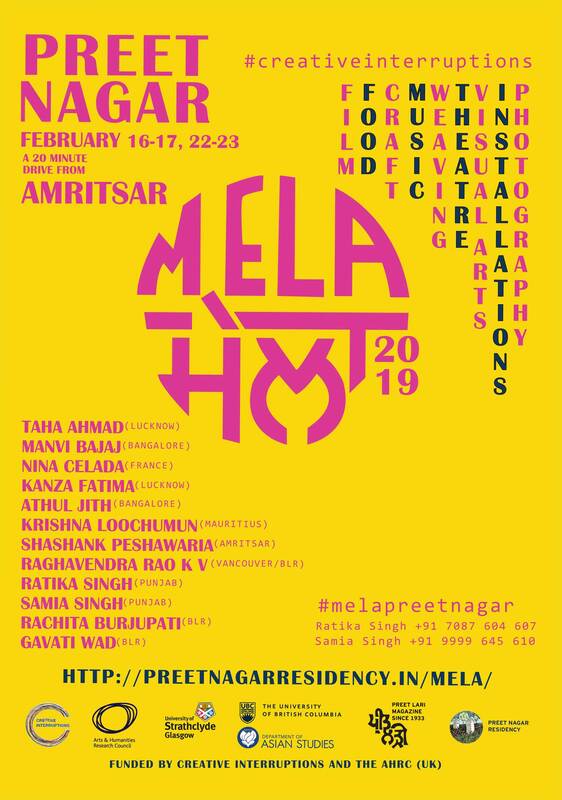 Preet Nagar Residency encourages residents to engage with and include the local community in the production of their work as well as hold workshops to bring exposure to the youth.